Aside from the new-look exterior, the biggest changes may be under the hood where Toyota offers gas and hybrid options for 20202. On the fossil fuel side of things, Highlander gets a 295-horsepower 3.5-liter V6 putting out 295 horsepower and 263 pound-feet of torque. The V6 is paired with the company’s Direct Shift 8-speed automatic transmission, which is designed ot deliver smooth acceleration and problem-free highway merging capability. The available towing package enables a 5,000-pound towing capacity. 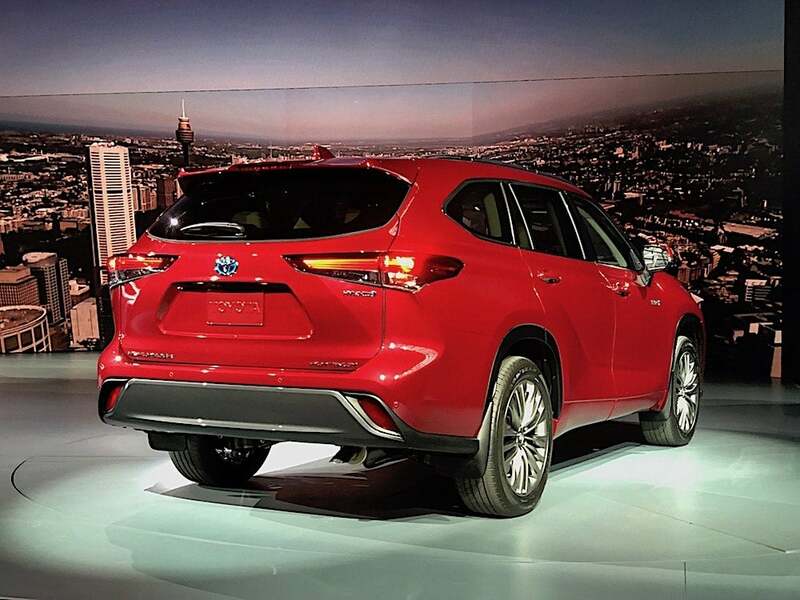 The Highlander gets Toyota’s new-generation hybrid system, which combines a 2.5-liter DOHC four-cylinder engine with two electric motors in a system that’s more compact, and more efficient than before. The new Highlander uses an all-new architecture called the Toyota New Global Architecture, or TNGA-K. The gas engine employs Variable Valve Timing-intelligent system by Electric motor (VVT- iE) on the intake camshaft, and VVT-i on the exhaust camshaft. A variable cooling system (electric water pump, electric thermostat) and a fully variable oil pump further improve engine efficiency. On the electric side, it uses two motors and a new propulsion system to deliver the power from those motors. Additionally, the battery pack so small it is installed under the rear seats, freeing up cargo or passenger space. The result is 240 horsepower and an EPA-estimated 34 combined mpg — a 17% improvement compared with its predecessor’s 28 mpg. Highlander Hybrid is available in either 2WD or AWD, a first for the midsize ute. The Highlander Hybrid offers selectable NORMAL, ECO and SPORT driving modes that let the driver choose the vehicle’s performance personality. The bonus is the EV mode, which allows electric-only driving at low speeds for short distances. Selecting ECO mode enables a feature called Auto Glide, which limits engine braking when the driver lifts from the accelerator pedal, acting like a neutral gear to allow the vehicle to coast further. The new Highlander offers a slew of new technology both on the safety side of the equation as well as the infotainment side. 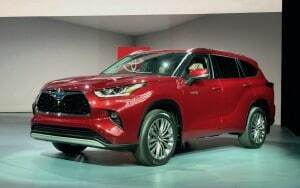 The 2020 Highlander gets a choice of front-wheel drive or three different available all-wheel drive systems — two for the V6 models and a unique AWD system for the hybrid. For the Highlander Gas L, LE and XLE models, the optional AWD system can send up to 50% of available torque to the rear wheels to counter wheel slip when necessary. The Highlander Limited and Platinum trim levels offer Dynamic Torque Vectoring AWD with Drive Mode Select and Driveline Disconnect. In addition to governing torque distribution between the front and rear wheels, this advanced system uses special couplings to actively manage torque distribution between the left and right rear wheels. Unlike many AWD systems, Dynamic Torque Vectoring doesn’t wait for wheel slippage to become active, rather it uses a sophisticated AWD Integrated Management manages Electric Power Steering, throttle control, transmission shift control and drive torque distribution to continually optimize handling. 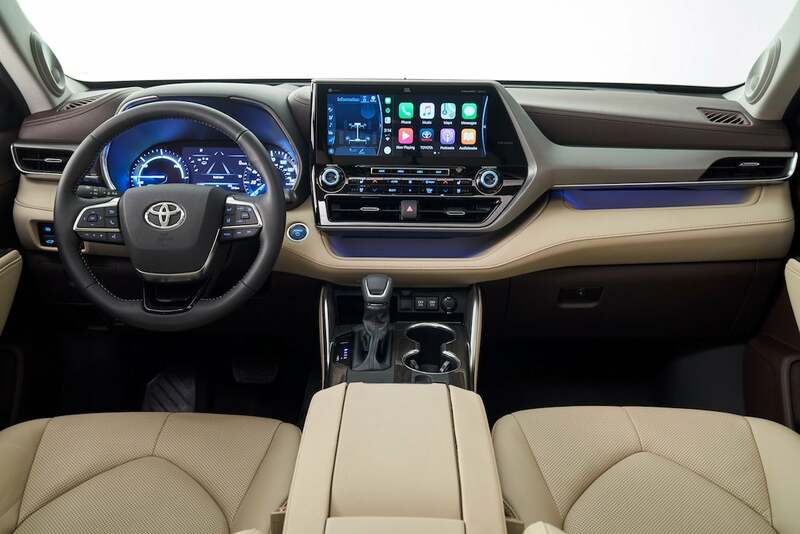 While power and handling are important, Toyota’s engineers and designer aimed to make the new Highlander the most comfortable and sophisticated version yet. For comfort, the team added softer padded surfaces and a more tailored look with stitching that continues from the door trim to the instrument panel. The ute also features a slew of new infotainment technology, including Apple CarPlay and Android Auto as well as advanced driver assistance technology to ensure the safety of all occupants. The new model doesn’t arrive until December, at least the gas version anyway. The hybrid will hit dealerships starting February 2020. Pricing information was not revealed. This entry was posted on Wednesday, April 17th, 2019 at and is filed under Asia Pacific, Auto Shows, Automakers, Automobiles, Business, China, Electrified Vehicles, Europe, Events, Hybrids, Markets, NAFTA, New York, Product Reveals, SUVs, Safety, Sales, Sales, South America, Technology, Toyota, Trends, U.S./North America. You can follow any responses to this entry through the RSS 2.0 feed. You can leave a response, or trackback from your own site.